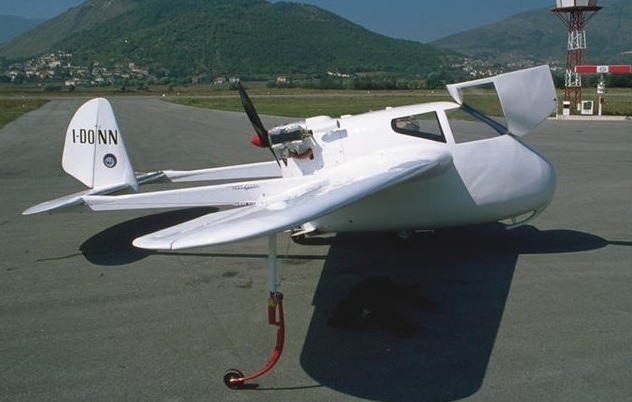 The Alaparma Baldo was a two-seat light monoplane produced in Italy shortly after World War II. Designed by Adriano Mantelli, it featured an egg-shaped fuselage with cabin doors that hinged upwards and to the back. The conventional tailplane with single fin and rudder was carried on twin booms, either side of a pusher engine installation. 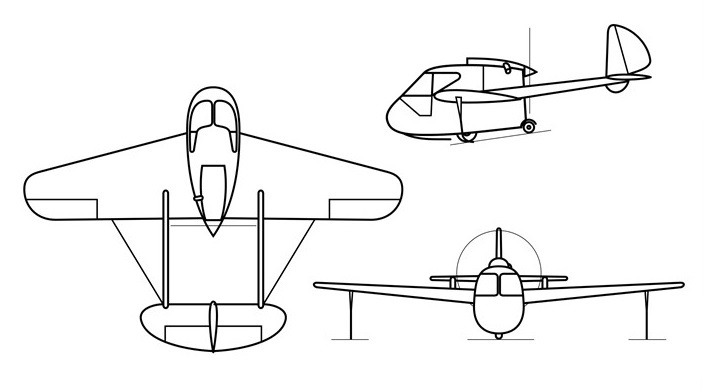 The undercarriage consisted of a single mainwheel under the fuselage pod, a small tailwheel not far behind it, and outrigger wheels on the wingtips. Produced 1949-51, approximately 35 were built in two versions: the AM.65 with Walter Mikron engine and AM.75 with Praga D engine. The Italian Air Force operated 10 aircraft until 1951.